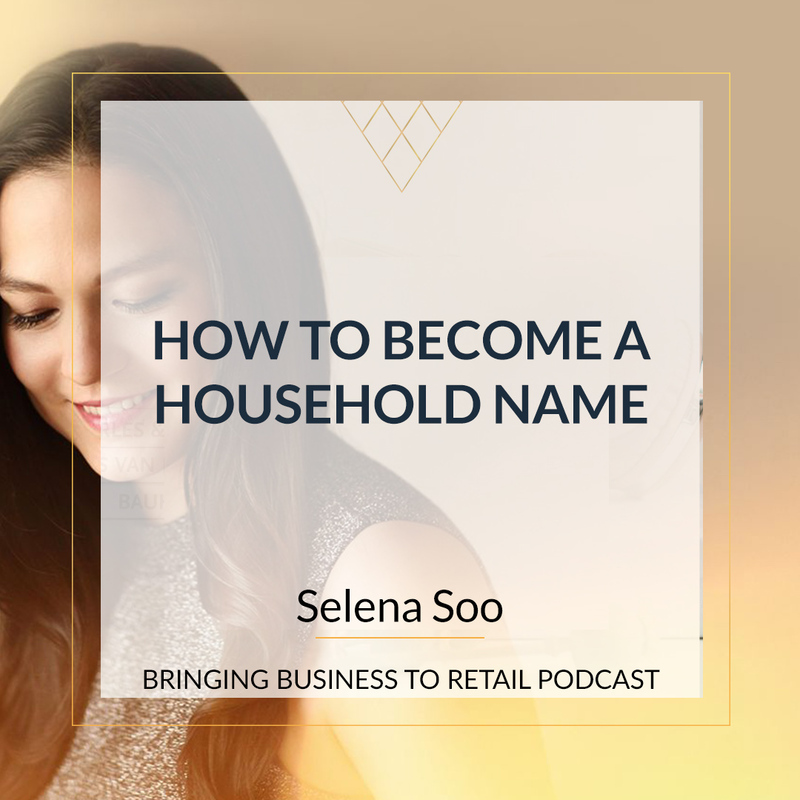 “Alone we can do so little; together we can do so much"
Salena: Hey there and welcome to this week's episode of bringing business to the retail podcast. Now I know that when you are growing your business you need to have a team. But sometimes you can't afford a full-time team so you might be working with a remote V.A. or you might have part-time people picking and packing for you. And you got part-time social media person but sometimes it can feel like a luxury when you've got someone full-time and keeping all those balls juggling in the air and making sure everybody gets along can be really difficult.. 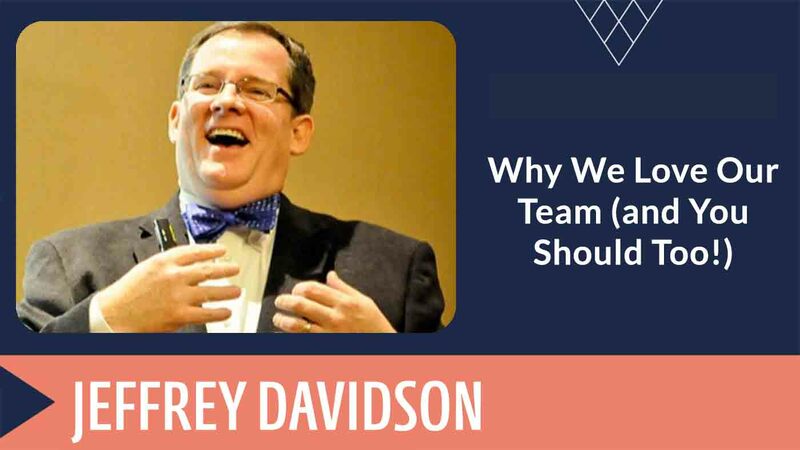 So I've brought Jeffrey Davidson onto the show to help you help your team. Welcome to the show Jeffrey. Jeffrey : Hello and thanks so much for having me come and be with you and your guest today. Salena: Oh I'm sure that they are really going to love this one. I love; I woke up this morning to a bonjoro - a few months ago we did an interview with Matt from Bonjoro which is a video like bomb bomb - I think it's another one. And this lady had saved me one saying, oh my god you're a genius. I just listened to this episode and it's fantastic. I'm going to use it for this, this, this. I just had to send you one because I want to know how to use it. And I'm sure that we are going to get a similar kind of reaction because I know what you're going to share is really going to help people in their business. So tell us a little bit about how you ended up here today talking to us about building teams and making sure that they can actually function well and you have a great culture. Jeffrey : Thank you for this setup and a little bit about me is it comes with I thought I was smart and then I failed big. And then I was blessed. So that's it, what I mean by that is, as a teenager I was reading The Prince by Machiavelli. You know about how to be a leader and how to manipulate situation. And in college, I co-taught a class on student leadership with the dean of students. And I was in leadership positions in all these organizations in college. And then in my 20s and my 30s, I was a leader. I was a department head. I was the president of a small company. I was number two in a startup. And what I realized by my mid-30s was I am not a good leader. I had studied a lot of books but the books in real life were two different things. I didn't figure out how to connect them so I chucked it all. I went into consulting where I just go for one place to telling people what to do. Salena: And that's what they wanted me to do is telling people what to do in consulting. Jeffrey : Yes that's what I did and that's what they wanted me to do. They love my advice. But I had a former colleague called me and say Jeffrey, can you come does a team of analysts, so I said yes. And eventually, they hired me to lead this team. And over the course of a couple of years as this team was truly life-changing in some ways and I loved working with them and they love working with me and with each other. I came to realize that 1. I did understand leadership and 2. This team had taught me how to be a good leader. So I feel really blessed by that. I did go back into consulting and I tried working in different environments and I became this expert that helped teams work well together. I didn't realize I was bringing this with me but they hired me for one reason. But as a side effect, their teams really work better and I'm like I've got to share this more. So I founded my own company leading great teams Ltd.. And that's what I do now is I try to help other people have a great team. Salena: That is really interesting that you say that you were not a good leader, to begin with. Because I've always wondered I think I've always been a good leader. Yeah, I was the bossy kid at school that was arranging the lines and oh my gosh my daughter is exactly the same. I see it now she's 10 and we get you know we get the report card time that says, sometimes we have to remind Lana that leadership skills are great but it doesn't mean that she can be bossy. And I can understand where you're coming from because telling people what to do and fostering a Team culture are two very very different things. Salena: I know that when I first went into my first job and I rose very quickly we worked for a very autocratic leader. He is saying it's my way or the highway. Don't come to me with problems just come to me with solutions. It was like he went to a business management school one on one. And everybody was afraid of actually talking to him. You know you would see a problem and you think well if I can't work this out myself like you know I can't talk to anybody about it. But that's not what a leader does. Jeffrey : No, I mean you probably saw it on my face it just makes me sigh. It really does. The reason we need teams today in this environment is between regulation, between competition, between the opportunities out there with reaching new people with the pace of technology. You can't do things alone. You used to be able to survive with just a single skill and get along. But the world has changed to interdependent. Yes, that's very rare today and you'd need a team of people to accomplish great work. And I believe people really want to accomplish great work, they want to make a difference and you can't do that as much for yourself as you can with a team of people. So you're gonna end up being a team of people. And then a good team of people is amazing what they can do and a bad group of people I won't even call them a team, how little they accomplish can be astounding because there's so very little that they actually get done. Salena: And even just one person, isn't it one bad apple in the bunch can make a huge difference. Salena: No, and don't just move them to a different section either if you're building a company. Jeffrey : No no no. You solve problems before you move them on. Salena: Yes yes. All right. So let's get a little bit more specific here. If you have a retail business and you're doing OK and you have maybe you just have one. Let's start with one. You hire your first person. And is it any different if you hire a remote person like a remote VA versus someone who works with you day in day out? Do you think? Jeffrey : If anything you want to make sure you have a good connection with someone whose remote because you're not going to be able to connect with them face to face. You're not going to have that ability. So you do want to make sure that you have a good connection with them and that you have similar values. But largely it's the same thing is that you want people who agree with you on some key issues and have exhibited a pattern that shows that they're going to succeed in what you need to have done. Salena: Yeah I always have said we've done quite a few episodes on hiring and I even have my ultimate hiring guide for retailers. And it is all based on hiring behaviourally, hiring for specific behavioral traits because unless you're doing something like my father in law who breaks down nucular power stations, you can kind of teach anybody to do anything in retail. You can teach someone to use a point of sale, you can teach them to do social media. Maybe they're not an expert at the beginning but if they are and their mind is in the right place I believe, they will try their hardest to make that work to learn the thing that you need them to learn. Jeffrey : Oh in general and I know we're not going to talk about hirings specifically but of course I have a lot of thoughts on. Because good hires make a great team easier. 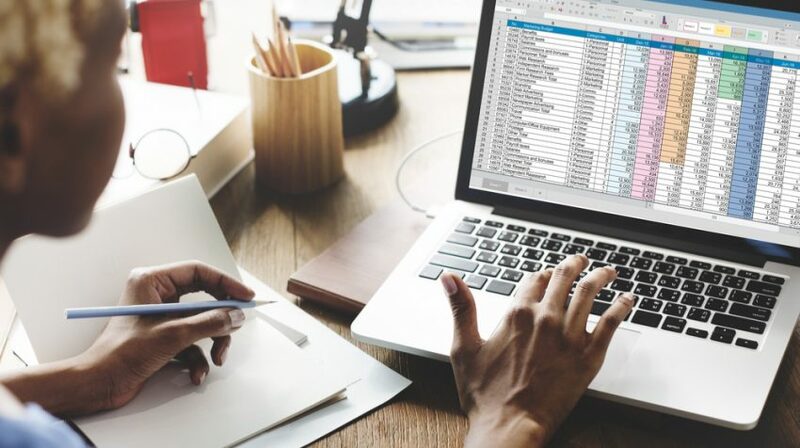 And what I realized when I was hiring my analysts is I finally realized that they didn't have to have a ton of experience in the technical aspects of the job. If they showed similar aptitudes I could teach them my tools and I could teach them my process and my expectations. But it's hard to teach someone how to be hungry and want to work and do a good job. It's hard to teach someone how to have good social relations with another person when they have to go interview someone. It's hard to teach someone a lot of skills. So I had to figure out which were the trainable skills which were hard to train skills and hire for this list. This was easier to write a job description about. I needed to hire for this. Salena: And you think they get a little bit hung up on that. You think we get hung up on, I need somebody who has to know this point of sale system inside out. Salena: Because I haven't had time to train them. Jeffrey : Oh and if you don't have time to train them then don't hire them. You know you're laughing but I want to say so often, let's say we've got 6 employees. So we give a little bit training to the first employee. We hire the second employee. Well, any free time they get they get training from the first employee. The third employee goes to whoever is available when they first start for training. The fourth employee is going to whoever is available now. Now whoever is available is probably the person that has the least amount of work that day, either because they are super efficient or because they don't know how to organize her work so therefore they have extra time. Salena: I was going to say because they are the least efficient because they've actually got the time. Jeffrey : Yeah exactly. So what happens is by the time you get to person 5 they've got a hotchpotch of training from four other people whenever they had a free moment and all they know is that everyone is doing something different. And because everyone's doing something different they think I can make up my own process. Jeffrey : And then you wonder why don't my customers get consistent service. Why doesn't everyone smile with every customer? It's because we don't have a common way to train everyone. And by not giving this common background we don't have common expectations and therefore we don't deliver great expectations. Salena: And I was just thinking that can be really hard when you first start and you know where I see these all the time. When people hire a VA and they want the V.A. to be a graphic designer. To answer my emails to know how to use my marketing CRM, to know how to use my MailChimp or my active campaign whatever it is you're using. And also be able to upload things into my point of set. Like they want them to do everything. Do you find that site? Jeffrey : I just rolled my eyes so far back in my head and you can see him. The thing is, and we want that VA to do that without any training. I. Come to grips. If you could find that person you'd they would cost too much money and if that was as easy as you think you could you could have hired a sophomore high school you know to do it in their spare time. You're asking for a bunch of different train skills and it doesn't work that way. If you know so much of this we've already talked about the word expectations. Expectations are key. We need to have clear expectations of what we want from people and back to where you first started this conversation, and then we need to reward people when they do that expectation. That's how we build up a good culture by saying Oh you did this and did early. That's great. Thank you so much for that. How do we find people that have the right aptitude and then we need to give them time so that they can learn. Oh you've done something small class. Let's talk about how this applies to us here in this environment. And we set expectations. But I want to go one step deeper if I could. And that is your expectations are kind of like the path you get to something. That something is important. In other words, if you want a good team whether you're thinking about hiring or setting expectations or serving your customers. The real question is why are we here? 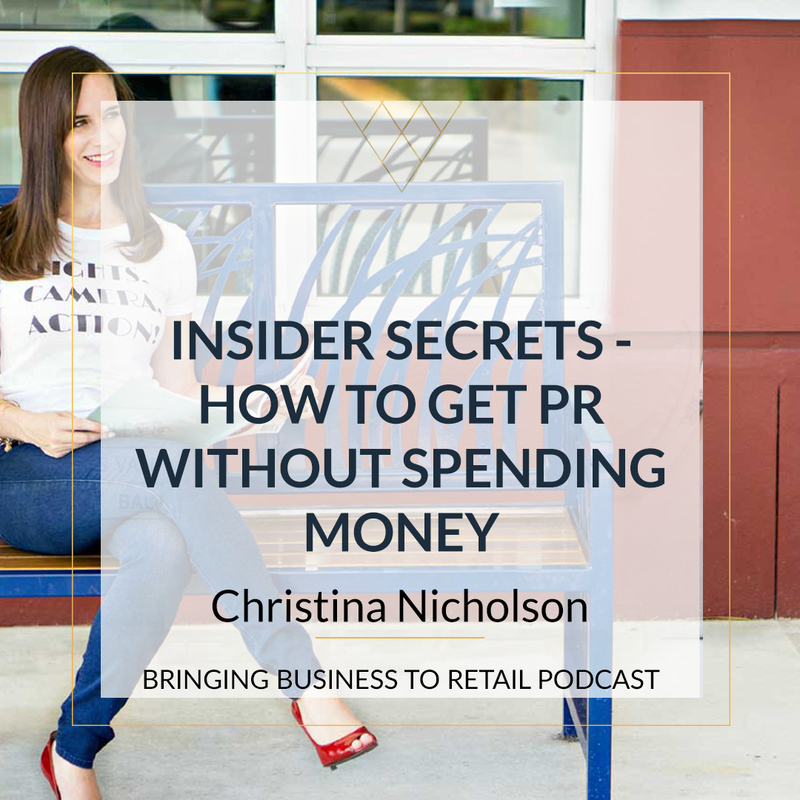 And it's not just so you the retail owner, or you the person needing a VA can make more money. I mean that's part of it. We all need to live and money helps. But instead, it's how do I serve my customers. How am I changing the world through the [inaudible12:58 ] after and the world could be as simple as if you own a salon, I want people to leave my business looking good and feeling great. And then my expectations served that mission of looking good and feeling great. Or if they're coming into your shop and they're buying gift cards for their loved ones. I want them to leave knowing that they have the perfect card that expresses their emotions better than they could ever said themselves. Salena: Yes I have somebody who was really struggling with; she's so beautiful and she's been on the podcast Kümmel. She sells beautiful what she calls modern Australian giftware. And I said something to her. I said you're like a florist because most of her people who buy her product buy as a gift. I said you like a florist like you are in the best position because you sell joy. You sell happiness because the person who is giving the gift wants to feel so good inside that they've picked the right thing. And the person receiving the gift is so excited because so much thought has gone into it. I said you as a florist haven't made. If you're in the gift industry you've got it made because you are literally selling joy and happiness for both parties. Jeffrey : And that's why; I'm in love with the whole idea of that would be a core of what I want that to be kind of her meaning statement is that we sell items that bring joy to the gift giver and the receiver. And then when I'm setting expectations later they are in service for that meaning statement about how we do things. And when I'm hiring I want to hire people that can meet the expectations. But for this overall meaning and that when they; when what we're doing aligns with that hire thing, it is so much easier to train them. It's so much easier to build a culture. It's so much easier to build communication between your team members part time or full time. It doesn't make a difference because we know we're all in it for the higher purpose. Salena: Yes, I mean I would like to think that I am a good leader because in my business time, my average staff retention turnover; staff turnover is around 3 years. Jeffrey : Oh, gets good. Salena: And generally it was because they went and had babies because I generally had moms like my team at the moment; actually one of them is literally going on maternity leave this week. But generally; otherwise and sometimes they came back again after they had their baby. But what I was going to say is how do you make it work when you have and I think this is one of my biggest struggles I started when I opened my store, and then I opened another store, and then I had remote people as well. How do you foster a really great culture with people who will literally never see each other? Maybe because they're on opposite shifts or a red light or they work in a warehouse. How do you make them all get onto the same page? Jeffrey : We've actually talked about a couple of key things. At the highest level. what is our meaning? In other words, how are you trying to make a difference in the lives of your customers? And it can be something small but how we try to make a difference everyone else who sells something in our town or in our state or in our on our planet? How are we trying to be a little different? That's one thing. Then is how do we know we're working the right stuff. How do we know what success looks like? As a leader as a business owner, you need to be able to say success is when what-what is it? Do I need to sell 30 dollars for an average ticket price or do I need to have an average upswell of you know a 30 dollar item or do I need to stand outside the shop when there's no one here to invite people in or or-or. How do we know that we're doing the right things? And then how do we know when we've succeeded. People need to know that, so often they're hired with a job and it's you have a checklist of 97 items to do this week. I'm not going to tell you how it relates to any meeting. I'm not going to work with other people. I'm not going to give her training manuals. Just do these 97 items. And it's kind of like a punch list that has no value. So when I wake up in the morning if I'm your employee and that's what I get is I'd rather hit my sales button. But if you tell me how my list of things to do impacts this meaning for how I'm going to make a difference for our customers. Oh, now I can be aligned with the work. Now it's easier for me to align with my the people that I work with. Now it's easy for me to say hey I'm having trouble with this one item. Can you help me? Because we all know we're working together for some meaning. 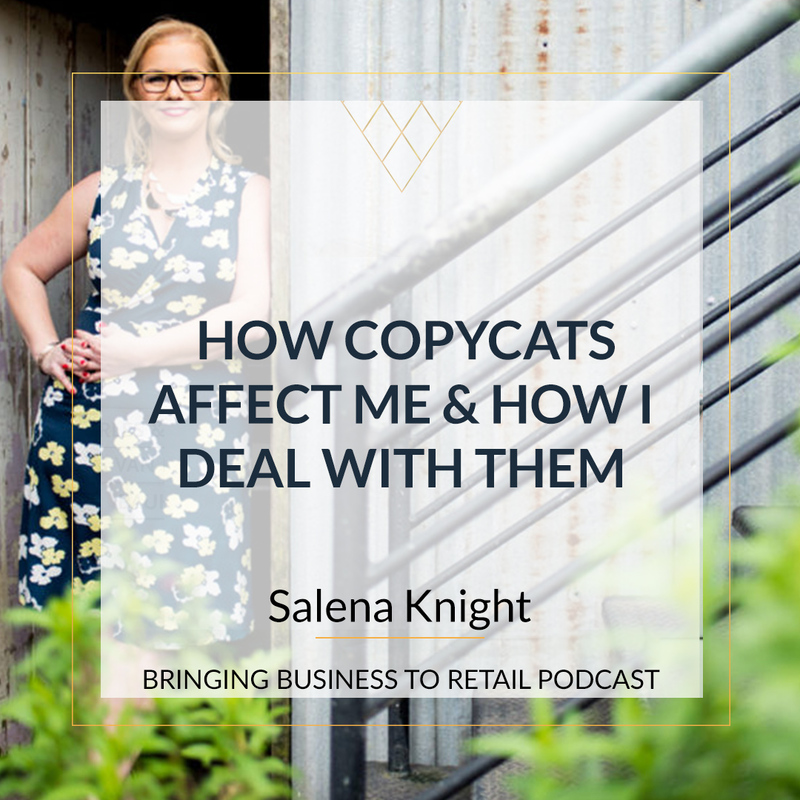 Salena: And so really what you're saying is if you don't get that meaning right if you don't understand within yourself and if you can't convey that to not only your customers but also to the people that work with you, you kind of screwed. Jeffrey : Well you're counting on luck. The best case you're going to get is you got lucky with some people and you got unlucky with other ones. I think no, no don't count on luck. You can control this part. So yes. Do what you can to bring people together. But part of it is having meaning. Part of it is knowing what success is, part of it is that training part. Knowing how we work together, how we use the tools and what are the processes because some people say this is how we close the door at night. Other people say, no I do it this way. Well, have one way to do it so we can measure this is the quickest most efficient. Yes. Just you say that like it's obvious but so many people don't. Salena: It is true. Look like I'm sitting here as you are talking and I'm I'm sort of you'll see me if you're watching the video, I'm kind of looking down and I'm looking at my notes because I had a consultation, a consulting call with not a client, with someone who wanted to hire me. And he wanted to hire me because he was opening a store in a big shopping mall which is nearby and I hire really well like you know we just don't all the great things. My average turn is three years. If you can get someone to stay in retail in the same business for three years. That's awesome. Salena: And he said to me, so I had an appointment to go and see him. He rang me back and he said actually no I decided to go with an HR company because they're going to write the ad they are going to interview and hire the people. They are going to do the performance reviews and they are going to write all my store policies. And I said to him, well I can tell you now if you want those store policies you can buy them off. You know they're not going to customize them to you because you have to watch the video for this one. It's just easier to get through. Salena: And I've said to him call me back in three months when nobody works for you anymore. And also just a reminder that you're going to have to pay these new store manager for two days worth of time to read the 150-page manual that somebody else is going to give them. And I said who is going to train your store manager. And he said well that's what the store manager's job is. And I said you can't just abdicate all responsibility. And this was a luxury product. I have to just point that out. This was not just like 7-Eleven this was a luxury product that he was selling. Very high-end product. And I said you can't just abdicate all responsibility because you are literally going to hire someone and say you aren't doing the right job. But they don't know what they are doing. And so as you are talking I'm just looking at these notes on my desk just looking at the notes I've made from me him like this is everything that you do wrong if you are trying to find somebody. I'm like I'm getting a pain like I'm literally getting a headache when you talk about this. I don't know whether I want to cry or be angry. There's a motion droiling in me because it's like I have choices as a leader. And they went the wrong way on almost every case. And I'm not saying we don't need outside experts we do we need to count on resources. But you are so right. There's a difference between calling on an expert to assist and abdicating your responsibility. I just thought of expectations then and I was thinking that poor store manager is going to get this job so excited and then literally be thrown in the deep end have no training on the product. No; not even any expectation of what they are supposed to achieve. And to me, that is everything against what my heart... That's what I; I actually said to him I'm really sorry but I don't think I can work with you because I build a brand that people love to come to work to and that customers love to come back to. And I don't think that's what you are trying to build. Jeffrey : No the abdication is there. So I have models for everything I've done a couple of times I develop a mental model for how it works or why it works. And all the rest and leadership by abdication is not leadership. Salena: No and that's laziness. Jeffrey : Well that's one of many possible reasons. And I don't care what the reason is it doesn't work. It's not good. Jeffrey : Yes. I mean you can call it busyness. I don't care. You can say that I have demands from something else. I don't care. You can say I don't know how I say I don't care. You can say I'm lazy I don't care. Now maybe that's rude that Jeffrey doesn't care about so very many things. But what I don't care about is your excuses. Because you have a job to do if you're going to be a leader then you have a responsibility to your people and you have responsibility to the purpose, the meaning and if you don't serve those two then you're not really a leader. Jeffrey : You're just a title. I recently ran an exercise yesterday. I flew to another town and I was training the trainers for this international coaching. And I ran an exercise after lunch where we went around the room and I said, everyone, please. In one line what is something that you want the world to know? And you could take your time to come up with it. And my line that I want the world to know is this, leadership is easy when you love your people and I don't mean in an inappropriate H.R. sense. Jeffrey : But what I really mean is, when you love your people when you deeply care about your people when you are concerned about your people you will do everything you can to make sure they have the right tools for success. You'll do everything you can to make sure they understand the process and the procedures so that they can succeed. You'll do everything you can to make sure they understand the mission so they know how to serve your clients. You'll do everything you can to find out where their potential is and how to grow them up into the Great Beings that they have the chance to be. You will find ways to nurture and grow your people so they can be the best that they can be, that they can reach their potential. And you will not take excuses from them, from yourself, from other people. You will not let people; you'll not let some outsider be rude your people if you care about your people. You will not keep that bad apple. Because even though you care about that bad apple you will know that it's going to hurt all your other team members. Jeffrey : You need to care about them. Salena: If you actually do care about them, if you if you truly believe that you are in the eight years, your heart is in the right place. And I'm not saying you need to be walked over. But if you truly do care about yourself and your mission and your customers and why you exist, I have found that your team knows when they stuff up or they generally will know if they're not meeting their own expectations. And their own expectations become so much higher because they don't want to upset you, they don't want to let you down. Jeffrey : Exactly because when you show you care, they feel free to care about you and the mission and they know that you mean what you're saying. So when you talk about your 3-year retention rate, hiring is only part of it. Part of it is the stuff you're doing every day because you want them to be good at their job but you also want them to be good at who they are. And that's how you build and keep a great staff. Salena: And that's not hard, Have I told you lately that you're awesome. like I said I just remember last week I did a podcast I coughed and usually I will take notes and I'll put you know 30 minutes/ twenty-five. I coughed so that my lovely editor Mux will just go straight to that point. And I was so, Ah I forgot to tell you that coughed and he's like no, no, I saw that I edited it out. And I just wrote back, have I told you lately that you're awesome. It's like to me that was such a like if it stayed in there the world was not going to end. But the fact that he had seen the waveforms he grabbed it out you know, he cut it out, and we don't do a lot of editing. And I was just like, you know it's so nice to not have to think because they are. They do the thinking for you. Jeffrey : Well you've already set expectations. Hey, I coughed here would you take it out. And then you tell them regularly. And then when you forgot you said Oh I'm sorry I forgot to tell you this. And they said I already did it. But then you follow up with, have I told you lately. In other words, you gave them feedback for their good behavior. One of my favorite CEOs that I work with doesn't give feedback to has people like that often enough. He does it in little ways but there are so many chances he misses just to say good job. If there's anything I would change and I love him, he's one of my favorite people and his company is doing great things. But just say that was good. Do more of it. Salena: Yeah you're awesome, you rock, you've got this. Yes. I mean that to me is just, and maybe that comes from having that boss for so long that just didn't do anything. Just tell me I did a good job every now and then, it's not hard. Jeffrey : So I'm a firm believer when you're talking about that, that everyone wakes up and when they're brushing their hair or their doing their tie or whatever they're doing in the morning to get ready. If you were to say what kind of day do you want to have today. Every one of them would say I want to have a good day today. I want to do good work today. And the problem is they get home and no one's told them how they did. Everyone wants to do a good job. But no one's telling them how they're doing. So I think going back to how we go to a good culture for people, that is, you build a culture where people tell each other thank you. Or you did this and I appreciated it. Or you know you did this. I know you meant well but I don't understand why you did it because it didn't work out the way I thought you would have done it. Jeffrey : And just having a quick conversation. Salena: I was going to say you can do with a remote team right? You could you could just write in your communications book. You could send an e-mail. Hey, it was so nice when I came in today that you'd set up such and such. Or thanks a lot. Jeffrey : Oh, that's all you need to do. I mean you can do this in three lines, five lines in the communication book. I forgot about those I used to love those, those were great tools. Salena: That's why sorry to cut in. I did a little hack and it was like my $1 hack that will change your business. And it was by an exercise book if you've got a physical store and write stuff down because people come in the next day and they tick it off or they put smiley faces and say thanks so much for that. Jeffrey : It is it such an easy way to communicate. But it's all about showing your appreciation for people who meet your expectations or exceed them. And here's the thing if you were upset with your people, it is not because they did a bad job. When you get upset it's showing that you have a missed expectation. When you get upset with someone else. It's not about them it's about you, and if you have a mixed expectation, then the question is, did I explain it? Did I give enough time? Did they give the right tools from process? Oh, I better go back and re-explain it. Because the first time there's a problem it's almost always in how we gave them the tools and expectations. Not about they were trying to do a bad job. Salena: Yeah and I was just thinking that; I think if you have really good employees, the most painful or upsetting thing that you could say to them is, I'm disappointed. Because to me, not even because I'm angry, angry is different. Like angry is like probably their fault but disappointed is 100% related to something that they did. And even my daughter is exactly the same. If I say I'm disappointed she bursts into tears. Jeffrey : Mine too. mine too. Yes. Salena: And I think that really conveys without the, there is no anger there. I'm upset that this happened. And that great team takes it onboard and says, wow, I really need to pick up my socks. And one of the other things, I'll just put this tip in is, when you have a good team and stuff seems to go pear-shaped, if they are really good. To me, it means something external to work is affecting their work. If you've picked people correctly. So the first question I ask is, is everything okay? Normally you are so good at this, this and this. But lately not so much. So I just wanted to reach out and see if everything is okay. Because generally, I think pretty much 100% of the time they'll come back and say, something has happened outside of work and it has affected my performance. Jeffrey : Oh yeah I agree. I agree completely. When you talk about people feeling disappointment and taking internally, that comes after they truly believe that you care. And they are not going to do that until first they understand that you care. So I find it so important that the relationship that you have is important. Now, this doesn't mean you have to know all about their family. It doesn't mean that you have to get into their details and be invited to children's parties or to know when their moms come in town. If you do, that's great. But it's not absolutely required. Show you care can be, now sometimes environments care just what do you want to do for your next job? What can I do to help you train there? You've been here a while, you've shown some really good skills, which skills do you want to practice? Which skills can be good for you over the long run? And it can stay on a professional level without getting into family stuff. Or maybe; I've done this where I had a staff and one of the ladies on my team invited a second one to join their softball team. So do you know what I did? I went with my daughter and my wife, we took a picnic and we went out and watch the softball game. It was a fun evening for us and it showed my team I cared. It's not a big deal. I wasn't asking to go to any birthday parties. I was just showing I cared in a little way and that goes a long way. Salena: Yes, and in the process, you are spending time with your family. Jeffrey : Yeah, it was a win. Salena: Yes, it is win-win-win. I think we've given people a lot to think about here. So I would ask you to give one parting piece of advice because I know you've given a whole bunch so much that maybe one thing that people if they could just tweak. Onew little thing that they can do after listening to this episode. ONe implementable strategy that is not going to cost money and it's not going to, it's not a huge thing but it can make a difference. What would it be? Jeffrey : Okay, this is my $1 hack. Go dig some index cards. Salena: They still make those? Jeffrey : They still make them. So go get some index cards people. I want you to draw a line down the middle. And on one side I want you to write build upon, on the other side write re-focus. The idea is everyone gets up and wants to do a good job. I want you to take your index card and I want you to go to all of your people this week as a leader and say, you know, I meant to do a good job this week helping you and leading this organization. What is one thing I could build upon. And you write it down. And then there is, what's one thing I tried but I didn't quite hit the mark? Where should I re-focus? And you write down their advice. And I want you to take one card with one person, one card with another person, one card with another one until you use up all your people. And I want you to drop that this week. Jeffrey : Then in a month I want you to do it again. Now you should act on the stuff they tell you. I want you to do this on a regular basis. And after you've done this a couple times, you hand out index cards to people and say, hey, I've been doing this. I want you to go to two of your peers. Salena: That's a big thing though, that's really being quite vulnerable. Jeffrey : We are acknowledging that we are trying to d a good job. We are acknowledging that some things could be better. We are acknowledging that some things we are doing quite too right and I have to tell you, doing this for 12 months, you'll look back and say, holy cow, we are constantly getting better. And the reason is, you are talking to each other about how to be your best. That is my dollar hack, go buy yourselves some index cards and take notes. Salena: And an exercise book, and you are going to be set. Jeffrey : $2 and you have the whole company. Salena: Thank you so much for sharing all these advice. I think it's really practical stuff we can put in place without having to. I think we have time for mind shift more than anything else. And be vulnerable with our own team to degree. So if people would like to know more about you, where can they find you? Jeffrey : Okay, like we've said, I've got a company, and my website is greatteamsltd.com. Now I want to say, I have three exercises just for building your team and it's only for podcast listeners. So greatteamltd.com/more. We talk about three different things. The index card hack is one of them. Go there, download it. No email address. I ask for nothing except for you help your team. Salena: Cool then we will make sure that we put that link in the show notes. If you want to build a better team, head over to greatteamsltd.com/more to get Jeffrey 's fantastic hacks. Long ago, when Jeffrey was young, he didn’t do much of his school work. Instead of studying he was reading. His favorite genres were science fiction, spy novels, and leadership. The pattern continued in college, where he spent more time leading student groups than he did on classwork. Jeffrey led so many groups the Dean of Students asked him to teach Student Leadership Development. By the age of 35, Jeffrey had been both director at a start-up and president of a multi-million dollar sales organization. Despite his reading, the teaching, and different roles he wasn’t a good leader. None of his teams came close to reaching their potential. In frustration he gave up on management and became a consultant. Eventually, Jeffrey realized he hadn’t taught people how to be a good team. The team had taught Jeffrey how to lead. Jeffrey took his hard-won knowledge and went back into consulting, rescuing high-impact projects. In every instance there were at least two problems — and one of them was always teamwork. During this time he started sharing his ideas around team building. Soon other consultants started asking questions and he became a coach’s coach. Now Jeffrey is ready to share his tested ideas with you and your team. If you are ready for your leaders to move their teams to responsive, execution-minded high performers, then welcome!